Tapping the meter, different than just tapping the beat or pulse, can help your improvisation. Tapping the meter reinforces the harmonic rhythm and the general rhythmic structure helping you to both lock in to the groove and to more intuitively audiate or predict how your improvised lines will lay on the changes. Recently I've learned that meter is processed by the right side of the brain. Considering the right brain controls the left side of the body, a possible conclusion is that it would be more natural to tap the meter with the left foot. I've found this to be the case. 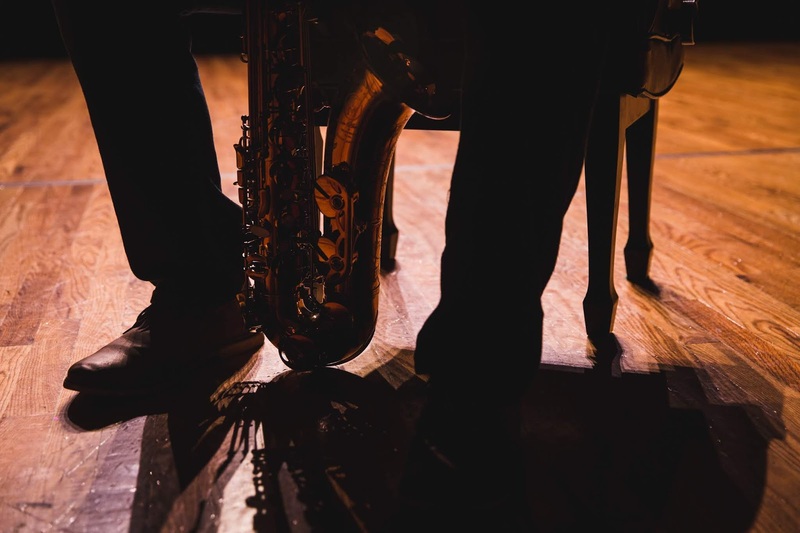 Tapping the meter with my left foot, particularly when I could use the reinforcement like in an odd time signature, helps my improvisation sound better, more fluid and interesting. Give it a shot, and leave a comment if you find it helpful. One of my favorite, inspiring videos is Michael Brecker African Skies where his left foot is always hammering out the rhythm. Brecker was know for having amazing time. Thanks for sharing this tip, I tried it and it's really helpful!